Click the Option slider "•••" to the right of each campaign in question. Click the "Analytics" button to open this campaign's analytics. Here we will breakdown and review settings & tools for your Campaign Analytics. This will explain how you can use this campaign's data to scale your marketing efforts. You can be filter by date range at the top, you'll see that we have selected the last 30 Days. 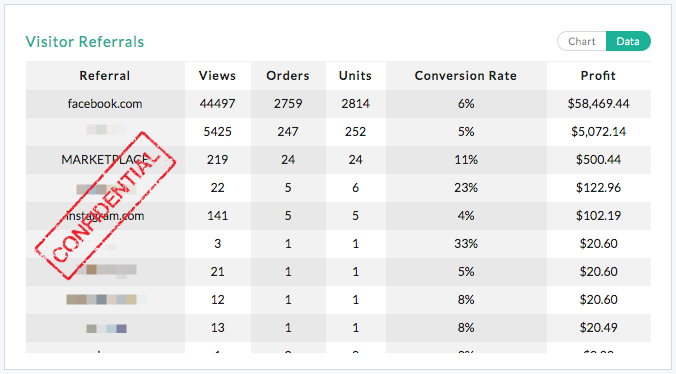 Just below, you'll see Profits, Orders/Units, Visitors & Conversion Rate, for that date range. Next we have the Profit, Visits & Orders Chart also available in Data form. This will help you understand & compare data across the period of time selected above. Move the cursor along the chart to see the data from that date. Click, drag & drop the cursor over a specific period within that date range to take an even closer look. Click the Data tab to view all information in list form. 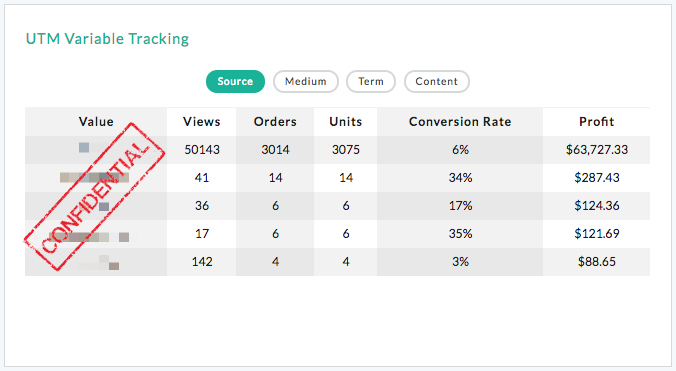 This will help you understand & compare the data day-by-day, checking profits, orders/units, visitors & conversion rate side-by-side. UTM Variables are a great way to track which ads are performing and how for this campaign. For more information on how to use UTM Variable for tracking, please read the article below. Visitor Referrals will show you where the the source of your traffic is coming from for this campaign. On the top-right you can switch from Chart to Data view. Upsell Performance will show you how your upsell options are performing. On the top-right you can switch from Chart to Data view. Products will show you which items in the campaign are selling by color, quantity & profits. On the top-right you can switch from Chart to Data view. Regional Visitors will show you which country you traffic is coming in from, for this campaign. A country will not be listed here if there are no conversions from that region. On the top-right you can switch from Chart to Data view. 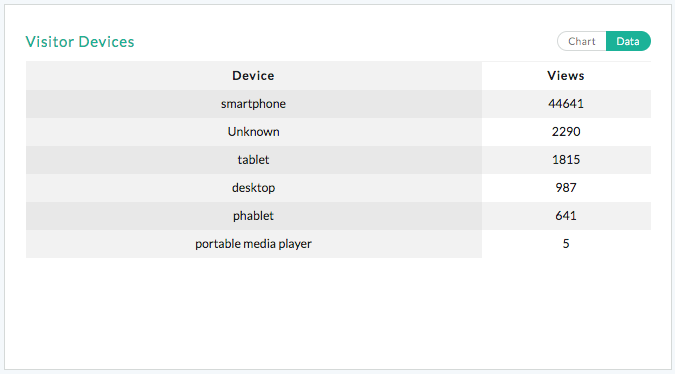 Visitors Devices will show you which devices your traffic is converting from. On the top-right you can switch from Chart to Data view. Sales Heatmap will show you what times of day and what day of the week your traffic is converting. Below you will see my ads primarily converting Thursday - Saturday, between the hours of 8am-3pm. I can see that Friday is definitely my best day, so this may be a great opportunity to run a promotion of some kind. It's never been easier to monitor when your audience is online, engaged & converting throughout the week!